Dr. Charles is passionate about health and wellness and has spent over a decade in the healthcare industry. Before becoming a Doctor of Chiropractic, he worked as a personal trainer, volunteered in The National Children’s Hospital in Costa Rica, and volunteered and trained as a paramedic overseas. 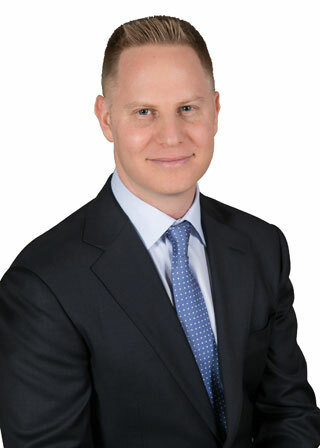 Since becoming a chiropractor, Dr. Charles has far exceeded the standard requirements for professional continuing education, staying up to date with the latest research and techniques of modern manual therapy, sports injury management, acupuncture, and learning about the latest technological advances in chiropractic and physical therapy. 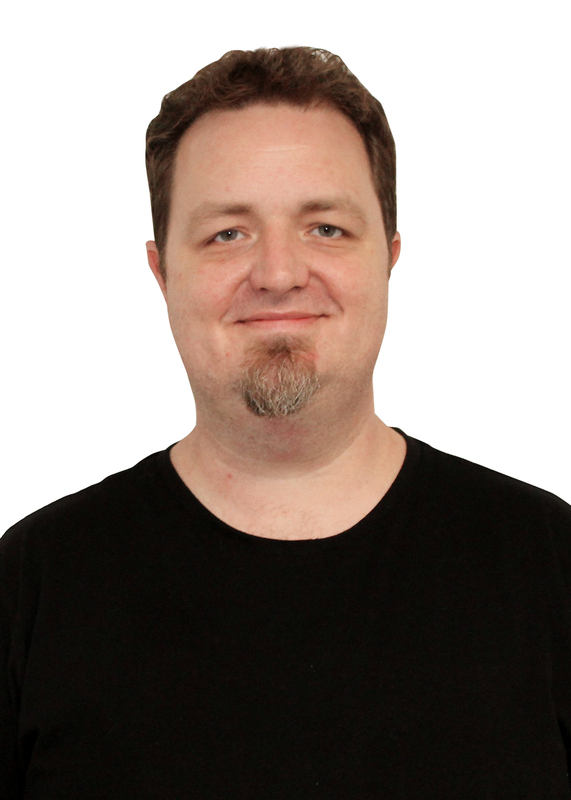 Dr. Charles earned his Bachelor of Science degree from The University of Western Ontario and his Doctor of Chiropractic degree from the Canadian Memorial Chiropractic College, as well as his license in acupuncture from McMaster University. Dr. Charles was proud to volunteer and treat patients at the 2015 Toronto Pan Am and Para Pan Am Games, and he has also served as a volunteer chiropractor for homeless youth at the Toronto Yonge Street Mission. He has treated patients from all walks of life, from children to seniors, and from “weekend-warrior” recreational athletes to Olympic medal-winners. Dr. Charles is an industry leader and has been featured on national television in interviews discussing health and wellness and various health products. He has also been called upon to serve as a medical expert in various medical legal cases. Outside of the clinic, Dr. Charles stays active by playing ice hockey and golf, as well as snowboarding, and running. Claudia is a passionate, caring and dedicated physiotherapist with over five years of progressive experience in the rehabilitation field. Her professional experience includes working with patients with chronic respiratory diseases, sports injuries, neurologic disorders and repetitive strain injuries, among others. 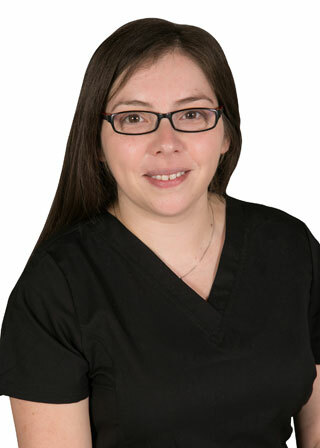 Claudia is very experienced treating patients of all ages, from young children to seniors. Claudia is a dedicated lifelong learner and while treating patients, she simultaneously continues her training in physical therapy courses. The following are recent courses and training programs Claudia has completed: Postgraduate Diploma in Adult Neurorehabilitation in Functional Gait Disorder, APTEI Acupuncture and Dry Needling, Evaluation and Manual Therapy for Temporomandibular Joint Dysfunction, McKenzie Method for the Lumbar Spine, K-Taping Professional Course, Standard First Aid CPR/AED Healthcare Provider Certification, Massage and Manual Lymphatic Drainage Program, and Vestibular Rehabilitation. Roshen Elizabeth Markose is a registered physiotherapist who is committed, caring, and has a great passion for helping people of all ages. She has gained varied experience in the field of physiotherapy after graduating with a bachelor degree in physiotherapy in 2003. 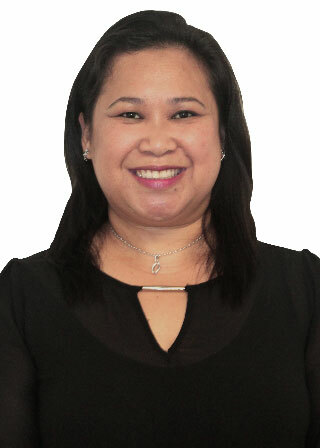 She is currently licensed and registered with the College of Physiotherapists Ontario. 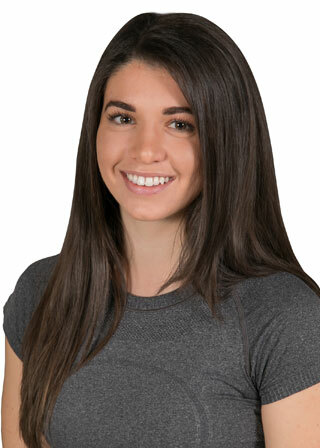 She has a special interest in treating all types of orthopedic conditions and is interested in pursuing continuing education studies in manual and manipulative physiotherapy in addition to the dry needling and taping courses she has already taken. 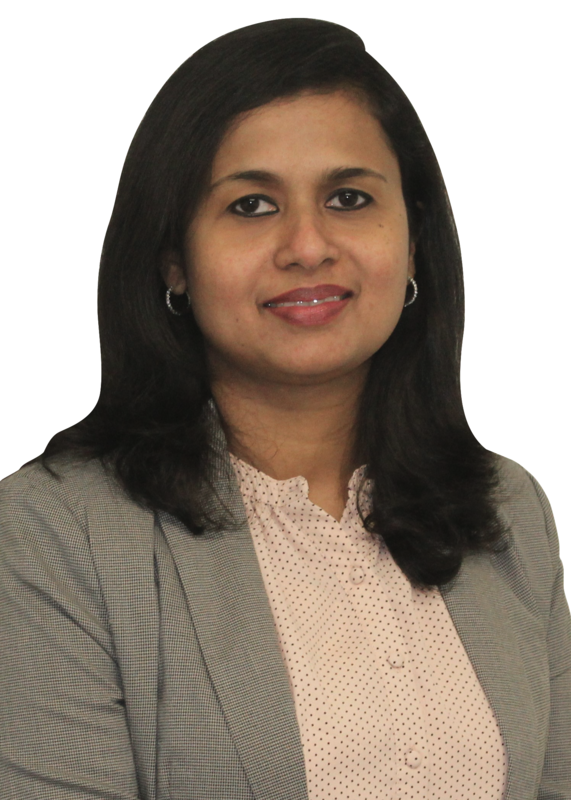 She believes in a combination of manual therapy and exercise prescription to provide her patients with the best treatment outcomes and rehabilitation experience. She has a client-centered approach to rehabilitation and believes that education and exercise components empower the patient to be active participants in their own healing journey. 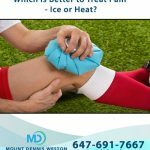 Roshen has extensive experience treating a wide variety of orthopedic conditions using joint mobilizations, soft tissue techniques, taping and client specific exercise prescription. Alyscia is a Kinesiology graduate from the University of Toronto and a practicing Registered Massage Therapist who studied at the Sutherland-Chan School of Massage Therapy. Alyscia’s interest in manual therapies to assist with full body healing was sparked when she began receiving treatments for injuries and pain that she experienced while growing up as a competitive dancer. During her undergraduate studies at the University of Toronto she had the opportunity to carry out a co-op placement under the mentorship of a Registered Massage Therapist, and this is when her appreciation of and belief in the efficacy of massage therapy was solidified. Alyscia is able to effectively use her knowledge of the human body and functional movement to treat a wide range of conditions and to aid in pain management. Alyscia is a firm believer in the importance of living a healthy, stress-free and active lifestyle. Alyscia believes that massage therapy is also very beneficial in helping to reduce and eliminate the presence of pain and stress during any physically, mentally or emotionally demanding period in one’s life, including pregnancy and the postpartum stage. Alyscia is a very skilled therapist and is well adapted to a medical setting. She is proficient in Swedish massage, deep tissue treatments, sports massage, relaxation massage and is experienced with providing treatment for seniors, children, athletes, and pregnant patients. Dr. Olesen is committed to providing effective and efficient chiropractic care to patients of all ages. Dr. Olesen was was first introduced to chiropractic care at age 13 to treat injuries from practicing Shotokan Karate. Through her chiropractic training, she has learned that a body that moves well can empower you to take your health into your own hands. Dr. Olesen earned her Bachelor of Science degree from the University of Alberta and her Doctor of Chiropractic degree from the Canadian Memorial Chiropractic College (CMCC). Upon graduation, Dr. Olesen was accepted into a Clinical Sciences residency program at CMCC. During this time she worked in many placements at hospitals across the GTA such as St. Michael’s and Mt. Sinai, conducted research in interprofessional collaboration and quality improvement, and taught students in Clinical Education at CMCC. 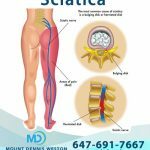 Dr. Olesen has additional training in Chronic Pain Management with the Canadian Academy of Pain Management, Lumbar Spinal Stenosis with the ‘Dr. Ammendolia Boot Camp’ and Osteoporosis Management through Osteoporosis Canada’s BoneFit Program. She is also has received training in diversified spinal manipulative therapy, temporomandibular joint dysfunction management, Fascial Distortion Model and Active Release Technique therapies as well as sport/clinical taping and Activator Technique. 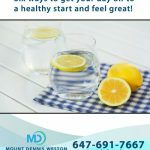 Her personal vision for your care is “moving you towards health” but her treatment plans are guided by your personal vision and goals for your general and musculoskeletal health. Julie is a skilled Registered Massage Therapist with over 5 years of experience providing patient care. She received her Registered Massage Therapy diploma from Medix College in Toronto. She also earned her Bachelor of Science degree in Business Management. Julie possesses skilled hands and a calm, warm and pleasant demeanor. She has provided therapy for all types of patients and medical conditions. She takes time during the initial visit to clearly explain her methods of therapy and what is to be expected during the course of the treatment plan. 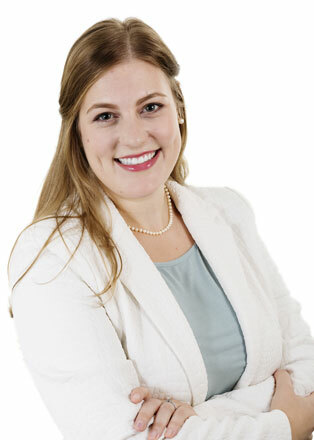 She is proficient in treating children to seniors and various types of athletes. Julie has a unique ability to identify various points of muscle and joint tension within the body by using gentle touch and with several specialized tests. She works very well in the multi-disciplinary medical setting and continues to expand her knowledge with ongoing continuing education courses and workshops. In addition, she has recently received extra training in cranial-sacral therapy and fascial tracing. When not working in the clinic, Julie enjoys spending time with her family with her two children, her dog Lucky, and loves to stay active by swimming regularly. Ryan Ready is a graduate of the Sutherland-Chan School of Massage Therapy and he is a caring and understanding therapist. Ryan has worked at several specialty clinics, including the Stroke Survivors Club, which involved working with patients with cerebral palsy and spinal cord injuries, in addition to the to HIV community outreach program. Ryan has completed additional training in cupping and TMJ treatments and he has an ongoing commitment to developing new skills. Ryan has experience working within various clinic settings, both at a spa and other multidisciplinary clinics. When not treating patients, Ryan enjoys spending time with his wife and two cats, as well as cycling, cooking, and going on road trips.